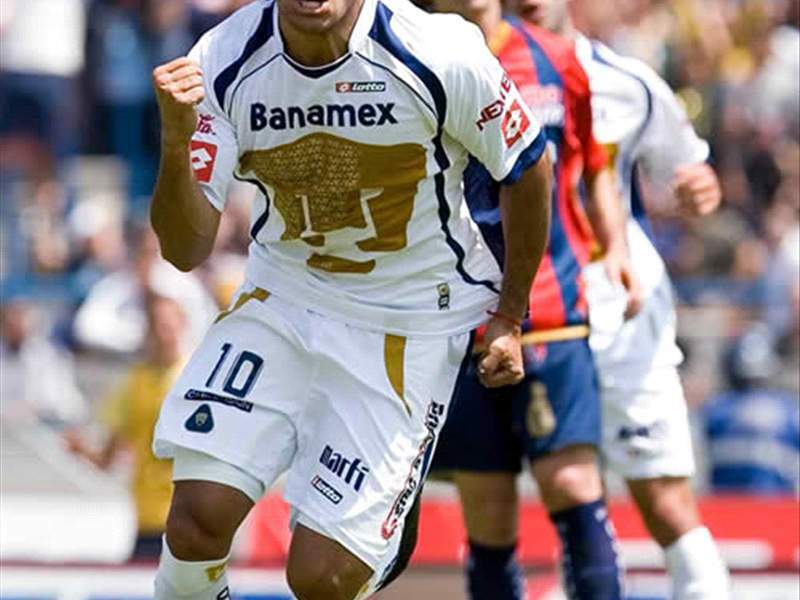 Pumas won the Clausura 2009's Group 2 and finished third in the overall table. The five-time champions will play Tecos in the quarterfinals. Clausura 2009 record: 8-5-4, 28 points. Goals scored 23. Goals allowed: 17. Leading scorer: Martin Bravo, 6 goals. Primera Division titles: 5. Last League title: Apertura 2004. Last playoff appearance: Apertura 2008. Went out in the quarter finals to Cruz Azul. Update: Pumas came out on top of the “Group of Death.” The defense was the best in the league and only let in 17 goals. However, only 10 goals were allowed by Sergio Bernal, while the other bulk came in 3 games for Odino Patiño. Pumas’ offense wasn’t as spectacular and they shared the small amount of 23 goals amongst themselves. The team had its ups and downs, winning a game then losing one, but towards the end of the season they found their rhythm of winning. Outlook: Pumas will enter the Liguilla as the third place in the general table. Their defense needs to keep on running tight as they face off against teams that were more prolific in goals. The team looks to go far, and with everything running smoothly in the back it will be up to entire team to aid Martin Bravo coming up with goals. Tuca Ferretti seems to be pushing the team, and with better performances towards the end Pumas can go far if they capitalize on the momentum. For more information on the Mexican league playoffs, visit Goal.com's Mexican Football section.